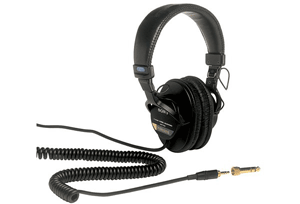 The Sony HSC-100R incorporates digital triax technology and is equipped with sophisticated 16-bit A/D conversion circuitry as well as superb three 2/3-inch CCDs to bring out a high level of picture quality over conventional digital triax infrastructures. The Sony HSC-100R Camera also has a built-in high-quality down-converter for superior SD images, as standard. The Sony HSC-100R Series camera offers flexible configuration with the highly compact 1.5 RU-size HSCU-300R and HSCU-300RF Camera Control Units, creating a standardized 19-inch rack system that is ideal for space-limited production areas. When the front panel of the HSCU-300R or HSCU-300RF is replaced with the optional CCU Front Control Panel HKCU-FP2, a simple remote control system can be configured. Many functions of the camera can be controlled by the control knobs and switches on the HKCU-FP2. Viewfinder Detail: adds dedicated image-enhancing edge signals directly to the viewfinder for a camera operator to recognize a focusing point. Focus Assist Indicator: displays an indicator for adjustment at the bottom or other position of the viewfinder frame. It's beneficial especially when shooting by wide-viewing angle. 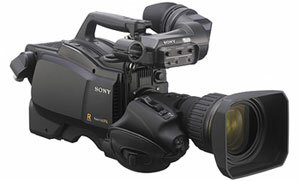 The Sony HSC-100Rdesigned carrying handle enhances the camera's operability. A protrusion positioned on the front of the handle enables users to hold the camera with added stability while shooting. In addition, the non-slip structure of its lower surface helps users to grasp the handle firmly. The Sony HSC-100R Series camera has dedicated 'assignable switches' available for frequently used functions. Located on both the side and rear panels, these switches allow functions such as electronic colour-temperature conversion to be assigned as required. Buttons on the handle are also available as function-assignable switches. All of these switches greatly enhance the camera's operational convenience. The Sony HSC-100R camera is equipped with a built-in high-quality down-converter for superior SD images, as standard. Hyper Gamma is a set of new transfer functions designed to provide powerful contrast handling by making maximum use of the capacity and wide dynamic range of the CCD sensor. These functions are quickly accessed via the set-up menu, and camera operators can select one curve from a choice of four that best suits their needs and conditions. For example, they can select to enhance natural reproduction in low-key areas to achieve greater flexibility in wide dynamic scenes. Sony HSC-100R enables ideal colour conversion for shooting even under excessively strong ambient lighting conditions such as live shooting under bright monochromatic blue light. These conditions would typically cause a conventional matrix function to exceed the colour conversion range.